Dr. Jim Womack, from Texas A&M University, visited the University of Missouri supported by funds from the Chancellor. Womack has been a pioneer in the field of genomics, with significant work on livestock species. On May 28th, Womack discussed the Bovine Respiratory Disease USDA NIFA Coordinated Agriculture Project. The project just completed its third of five years of funding. Bovine Respiratory Disease has been researched since the 1800's, but despite more effective vaccines morbidity and mortality have not decreased. The long term goal of this project is to reduce the prevalence of BRD by selectively breeding resistant cattle using genomic technologies and by educating cattle producers to better manage the disease complex. The team is using nearly 3,000 dairy cattle genotyped at 700,000 DNA variants. These cattle have clinical scores for BRD symptoms and measurements of specific pathogen infection. In a case-control data set, Holstein calves and heifers were identified as sick and classified using a clinical scoring system; these were the cases. This system gives calves four scores from 0 to 3 for temperature, nasal discharge, cough, and ear droopiness. A nearby calf free of BRD symptoms was sampled as the control. From this analysis 13% of the variation in BRD susceptibility is due to additive genetics. The research team has identified about 60 regions harboring variants which influence an animal's susceptibility to BRD. Despite the complex and diverse nature of BRD, the research team finds sections of the genome that appear to influence innate immunity, regardless of what pathogen species are present in the geographic region. 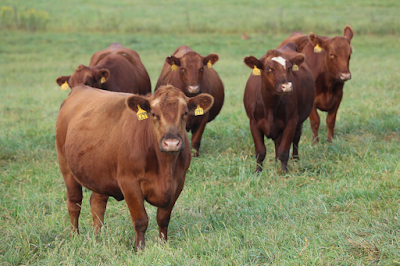 The team currently has samples for about 1,100 beef animals, and they are working to increase this number. The team plans to generate a genomic prediction for BRD resistance. Animals could then be ranked based on their genetic merit for BRD resistance and animals could be artificially selected to improve the BRD resistance of a breed of cattle. Novel traits, like disease resistance, are one of the promising applications of genomic predictions. 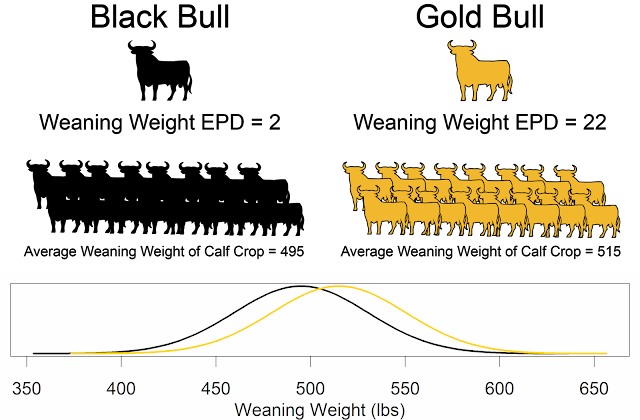 For traits which are difficult or expensive to measure a genomic prediction will allow producers to make genetic progress which would not have been possible otherwise. More information about the project is available at http://www.brdcomplex.org/.